Back in the early 1980’s, 22 year old Louis Liebenberg was majoring in Maths and Physics at Cape Town University. There he had begun challenging the traditional view that the human brain could not be the product of natural selection because of it’s appreciation for art and science (which meant that it far exceeded the capacity of all other animals). However Louis had a hunch that scientific thinking was indeed evolutionary and had developed as a necessity for the survival of modern hunter-gatherer societies, especially from the practice of animal tracking in hunting. So on deciding he would rather research his evolutionary intuition than finish his studies, to prove his evolution theory Louis dropped out of college. 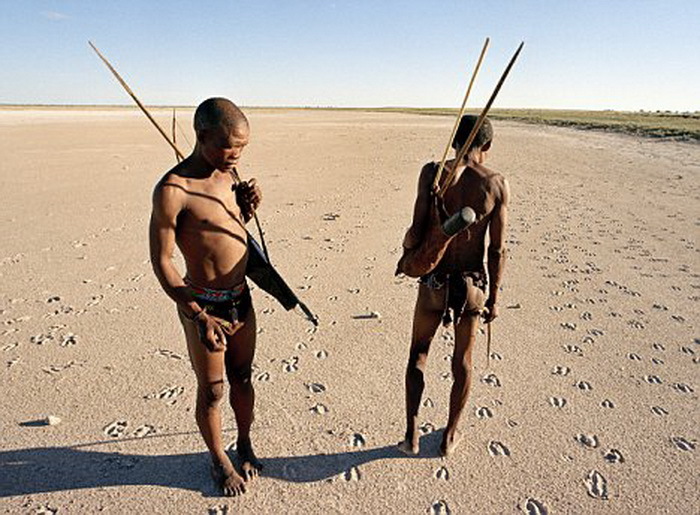 Alone, with no background in anthropology, or wilderness experience he moved into the Kalahari desert to find and study the animal tracking of tribal Bushmen (Bushmen are considered to be of the oldest genetic stock on earth with equally old traditions). Incredibly he was able to live with a group of traditional Bushmen for 4 years and eventually was even taken on more than one persistence hunts. His anthropological hunting and tracking research findings that followed were widely acclaimed and in 2001 he helped a BBC film crew document a persistence hunt for the David Attenborough nature series The Life of Mammals. More recently his research was also mentioned in Christopher McDougall’s bestselling book Born to Run, which is where I first learned about it. Below is one of Louis’s talks on persistence hunting and it’s relationship to the origins of scientific thinking. The development of the early human brain, creative intelligence and the ability of scientific thinking that resulted from tracking animals. For anyone interested in further reading about persistence hunting, very little has been published on the subject. But Louis has very generously made his rare/out of print books about his research available for free download on his website CyberTracker ( I can’t tell you how many years I spent on the amazon wait/update list to buy a copy). There is also a donate button on the website for anyone wishing to donate to his unique and inspiring project called CyberTracker. 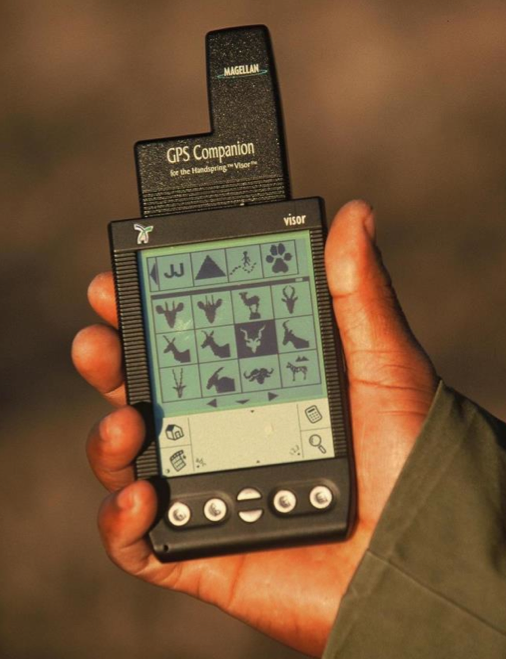 Impressively Louis has been able to apply his animal tracking learnings to a conservation organization called CyberTracker that promotes, preserves and has evolved the ancient science/art of tracking. This has been his mission for the last 20 years, since a campfire discussion about the future of Bushman culture and how it would be important to create jobs for trackers who could no longer live as hunter-gatherers. CyberTracker has created animal tracking courses and tests, developing a skill that was learned exclusively by word of mouth and experience into an academic education. Preserving the ancient knowledge and developing it’s teaching methods so that now it can easily be passed down to anyone in the world with an interest in animal tracking and the environment. 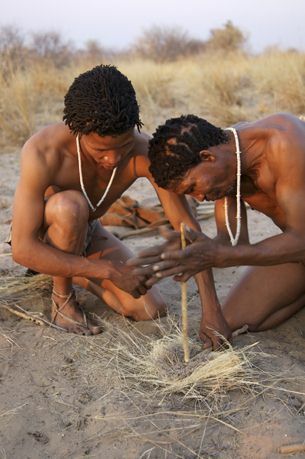 While also allowing Bushmen to maintain a connection to the land and their traditions in an increasingly modernizing world through official tracking related jobs. 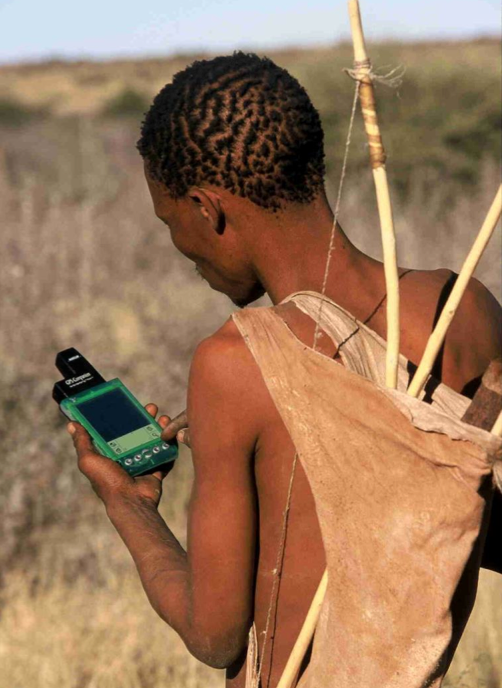 What’s more the CyberTracker, Tracker Evaluation system is not just a unique vision that combines ancient wisdom with modern methods to support the tracking tradition and Bushmen, but also a valuable global tool for environmental awareness and conservation, with both scientific and cultural applications. So how does any of this relate to design and footwear in particular? Well Louis Liebenberg is also applying Animal Tracking as a vehicle to promote positive behavioral change in modern society. Louis also believes that an understanding of animal tracking can also put us back in touch with nature, by creating a greater awareness of the wealth in wildlife that surrounds us. For example by spotting the marks made by bears, mountain lions and deer as we go about our Sunday walks we can gain a greater understanding, appreciation and empathy of nature. A reminder of our place in the natural world and the key to creating an environmentally friendly culture. In a nutshell, if an idea, or a footwear design can increase interaction and awareness of nature, then it will also help promote the development of a more environmentally friendly culture. “Outdoor Performance Design – The Key to a Sustainable Future? I would like to add that his vision and work is a personal inspiration, which is protecting and nurturing our priceless cultural wealth and natural heritage. Endnote: The term Bushmen is sometimes viewed as a pejorative, but was used for the purpose of this post because it was unclear which Kalahari group San, Sho or Kung, Louis Liebenberg had studied. Take a 'scroll' through the Design Blog above. My written tattoo sleeve of ideas and narratives that inspire and inform my footwear design thinking. Can Design be re-designed?